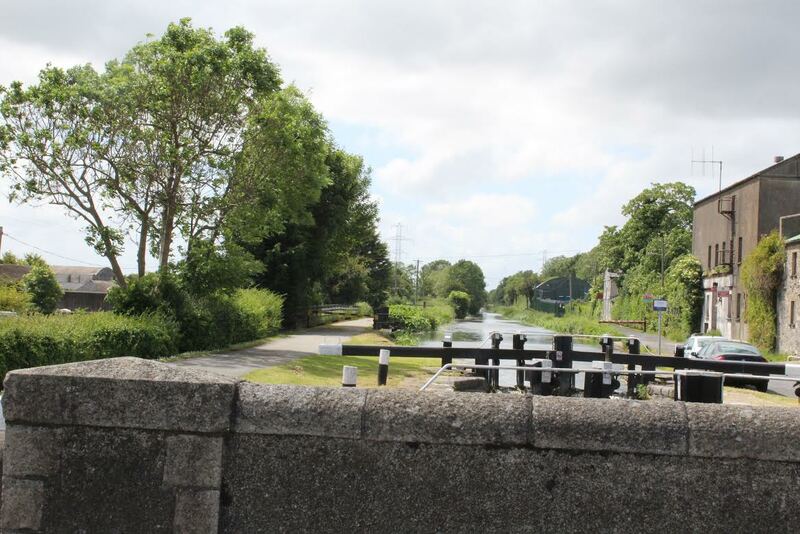 On a recent Sunday, 4 Rally Round the Tower members carried out a trial walk as close to the ancient "Slí Mór" as possible, heading west along the Grand Canal from the 9th Lock in Clondalkin. They disregarded the Met Office weather forecast of wind and rain, but arranged for emergency transport in case it was needed, and brought along fully charged mobile phones, water, a packed lunch and a first-aid pack just in case. Despite the gathering clouds above the rooftops in Clondalkin, they set their faces for Hazelhatch, buoyed up by the fact that approximately 7 kilometres on the O.S. map was do-able, though a little over 4 statute miles sounded better. Leaving the buzz of traffic behind them, the rain held off and the sun shone on our happy walkers. 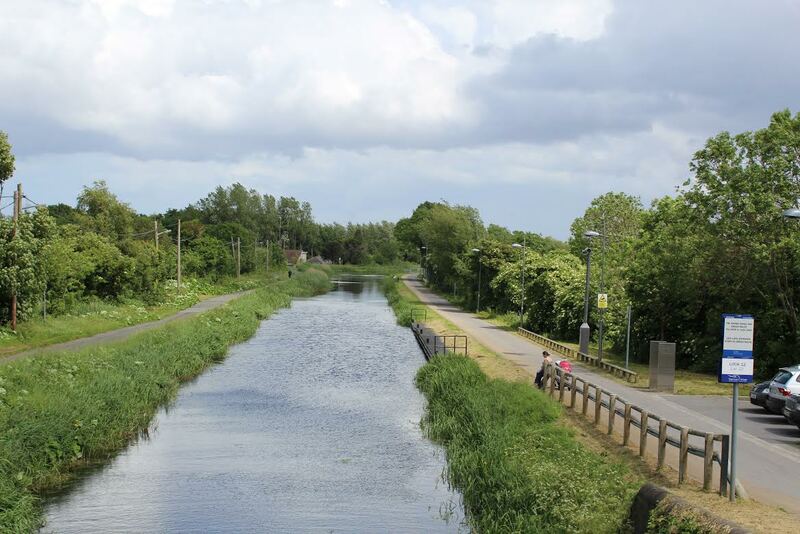 The Grand Canal withheld none of her natural beauty. Yellow flag irises nodded to their reflections mirrored in the clear canal water, where fish negotiated the underwater grasses. 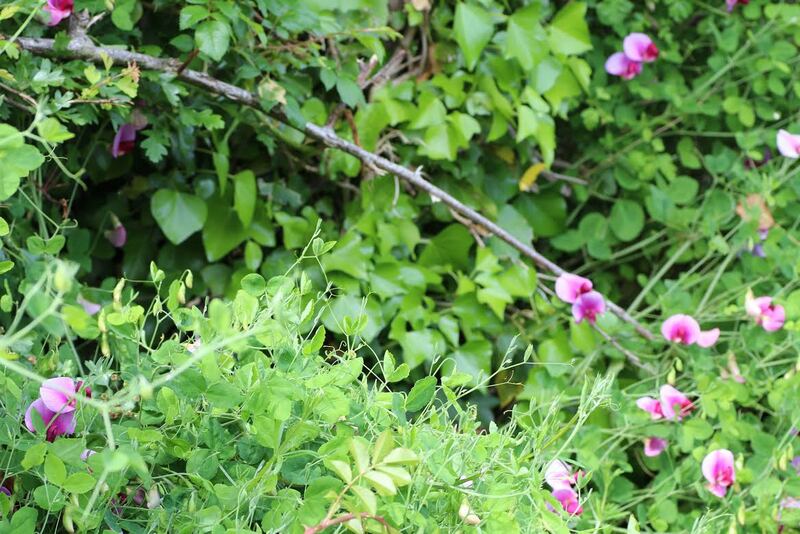 The tangle of purple vetch and pink wild roses were at first also remarkable, but soon became a commonplace eliciting little comment. Hidden birds in the majestic trees flung out their hullabulloo as Swallows swooped and zipped low over the water, avoiding some secret radar. The flies they sought didn't stand a chance. 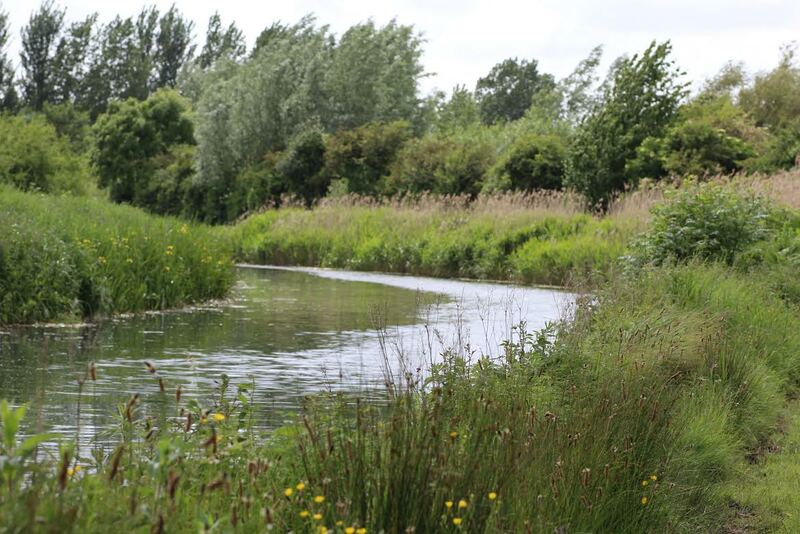 Hopefully, the azure blue damsel flies and flapping butterflies escaped their sure aim. Old canal buildings and canal locks added their own historical aspect as we admired the engineering works carried out so long ago. A packed lunch at the venerable Gollierstown Bridge inspired chat of Alligators and their ability to stand up on their tails. Note: there's no point in climbing a tree if one (or more) is ever encountered. Fellow canal users we encountered included a few fishermen, two joggers, some cyclists and other walkers, so the canal walk was mostly sufficiently populated enough not to be lonely, but never thronged. All too soon, the notice board for Hazelhatch indicated the approaching end of the walk as McEvoys pub hove into view. Moored barges nearby inspired thoughts of a Wind in the Willows existence, maybe some day, some day. A welcome cup of coffee from the friendly staff at McEvoys provided an opportunity for "debriefing" and plans to do all this again, soon. Many thanks to all who take care of our waterways. You can see Monicas pictures of the walk in the Gallery below.